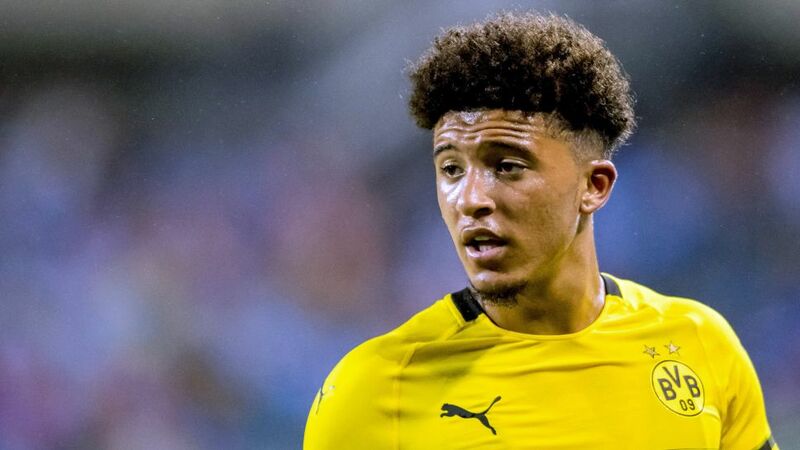 Bundesliga | Can Borussia Dortmund's Jadon Sancho become England's Neymar? Can Borussia Dortmund's Jadon Sancho become England's Neymar? Borussia Dortmund's Jadon Sancho has been tipped to become England's Neymar, but can the U19 international eventually eclipse the samba star? Sancho joined Dortmund from Manchester City a year ago and became the youngest Englishman ever to score in the Bundesliga when he netted in the 4-0 win over Bayer Leverkusen in April. He made a total of 12 appearances in his maiden season, providing four assists, and has been used as a substitute in the first three games of the current campaign. All that points towards a hugely promising career, and one of the first people to discover his talents has told The Guardian that he believes the sky is the limit for the 18-year-old. "Provided he doesn't become restricted, he could be our Neymar-type player – in terms of being unpredictable, playing on that left-hand side," said Dan Micciche, who coached Sancho at U15 and U16 level for England. "He's flamboyant, entertaining to watch. But like Neymar he's effective with it. In most games he'll create something – it's not a beauty contest. He's not on the pitch flicking it over someone’s head for the sake of it." While Neymar may have honed his skills playing in the favelas of Rio de Janeiro, Sancho's first encounters with a football were in similar surroundings. "Jadon did a lot of his learning on the street through informal play," continued Micchiche, who believes that helped render him the player he has become today. "What he brings to the table are ball skills – being able to play out of tight areas in a way where he can beat a player rather than having to pass it and he can do that a variety of ways. He can run with the ball at speed and go both sides." Sancho is now getting all the support he needs in Germany, where youth is given the opportunity not only to develop, but to thrive. Indeed, Sancho is not alone in picking the Bundesliga as a career path, with, among others, Mandela Egbo benefitting from game time at Borussia Mönchengladbach and both Ademola Lookman and Reece Oxford adding strings to their bows at Leipzig and Gladbach respectively clubs last term. With some more nurturing – and Sancho is reportedly already under consideration for senior England duty – those Neymar comparisons may become more common quite quickly. Click here for more Borussia Dortmund news and features!